From classic to brand-new varieties, Alan Titchmarsh presents the complete practical guide to roses The favorite flower of many gardeners, the rose never goes out of fashion. 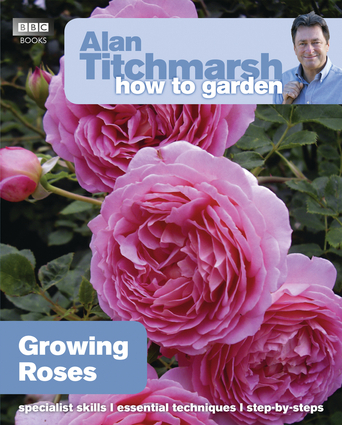 In this definitive guide, Alan Titchmarsh explains how to grow and care for roses in the garden. He covers all the essential techniques and provides inspirational ideas for training and planting schemes that will ensure healthy plants and stunning displays year on year. Besides an A-to-Z directory of Alan's recommended roses, this guide offers essential techniques for pruning and support; how to combine roses with other plants; suggested roses for all garden situations, including shady and exposed sites; and a comprehensive guide to understanding rose types. Alan Titchmarsh is the author of more than 40 gardening books, including How to Be a Gardener, The Gardener's Year, The Royal Gardeners, and the volume of memoirs Trowel and Error. He has twice been named Gardening Writer of the Year and in 2004 he received a Lifetime Achievement Award from the Garden Writers' Guild.